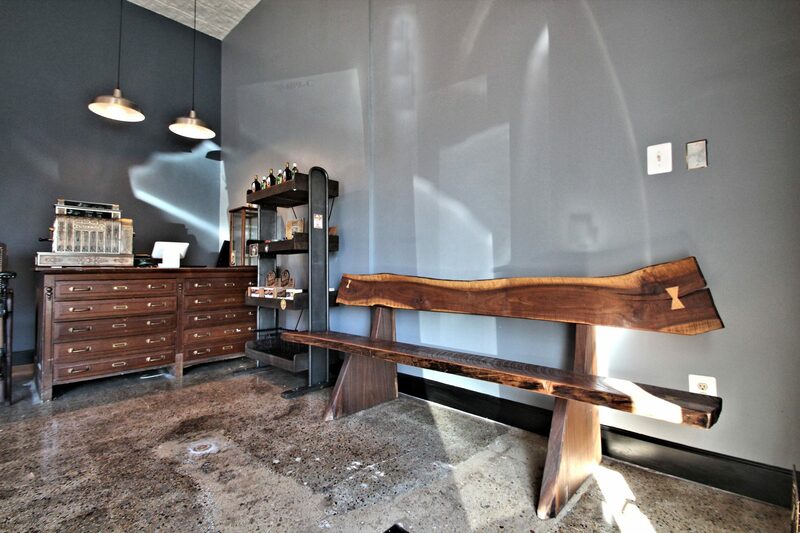 "My husband and I commissioned Hackett Woodworking, LLC to custom make a bench for our soon-to-be open barbershop in Fairfax City. Nathan did such am amazing job, that it exceeded our expectation. We hope this bench will be enjoyed by all our customers. His pride and passion in the work he does is evident in every piece he creates! You would be lucky to own a piece made by Nathan! Nathan created a gorgeous cherry table for our kitchen. It is a work of art! He also made cabinet doors to replace our outdated ones and they look stunning. We LOVE our new kitchen. Thank you, Nathan! Nathan was great to work with on our custom island countertop for our kitchen. He listened to our idea's and created a beautiful piece! Thanks Nathan. Nate was easy to work with and delivered exactly what we asked for. He was responsive and always friendly. We'll definitely be using him again for future work.